We’d love your help. Let us know what’s wrong with this preview of Neo-opsis Issue 29 by Karl Johanson, Stephanie Ann Johanson, Sarah Craft, David Desjardins, J.M. Dover, August von Orth. 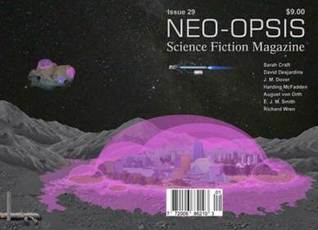 To ask other readers questions about Neo-opsis Issue 29, please sign up. As always with this magazine the stories are wonderful. Kudos to the editors for their choices.